Kira Brune, née Gromova received her Masters degree from Samara University, Russia in 2003. She performed her PhD studies from 2004-2007 at the Virchow Center, University of Würzburg. In 2008 she joined the group of Volker Haucke at Freie University Berlin as postdoctoral fellow. Since 2011 Kira is a postdoctoral fellow in the ZMNH department of Molecular Neurogenetics. 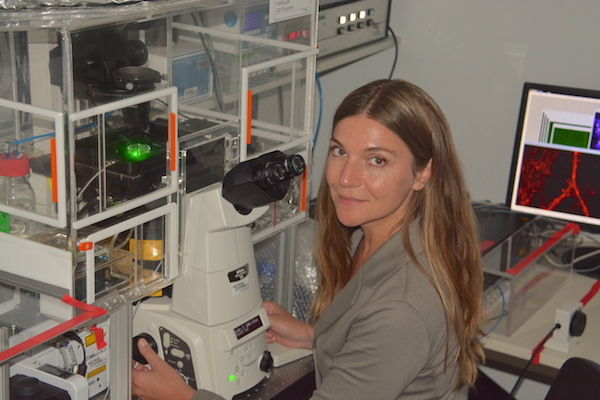 She applies molecular and cell biological methods including live cell imaging, FRAP, FRET and 2-photon microscopy in neuronal cultures and tissue slices.